Sweeping reforms may be difficult to swallow for central and local agencies, but the reorganisation of the Chinese bureaucracy has a good chance of success. Beijing is shaking up its bureaucracy. Two blueprints, released on 17 and 21 March, launched a major reform which will make crucial changes to the balance between the Communist Party and the state, and between central and local governments. Underpinning these reforms is a critical effort to make government administration more efficient, compliant, and easy to navigate. A major goal of this overhaul is to eliminate overlapping responsibilities and conflicts of interest within the central government. Until now, decisions and authorisations had to be approved by dozens of bureaucratic actors before they could be implemented, and policymaking was complicated by entrenched interests and turf wars between agencies. To overcome these difficulties, the plan creates seven new ministries and adjusts the responsibilities and scope of almost every national agency. The newly created ministries are meant to tackle specific policy objectives in order to make the government more efficient. Key policy priorities of President Xi Jinping’s administration were given comprehensive ministries with broad mandates to push for reforms. The new Rural Affairs Ministry, for example, combines many responsibilities previously scattered among various departments. It will oversee agricultural production, irrigation and water conservation, as well as rural development programs. The new Ministry of Ecology and Environment will be in charge of climate change, pollution, water and marine environmental protection, and will likely have more power than the former Ministry of Environmental Protection to tackle these pressing issues. A powerful General Administration of Market Regulation was created, assuming the responsibilities of several former departments. It will be in charge of pricing supervision, food safety regulations, and anti-monopoly law enforcement at central and local levels. The insurance and banking regulators were also merged to unify regulatory oversight of these sectors. The recent policy documents are, importantly, a further step in Xi’s ongoing battle against foot-dragging and poor implementation at local levels (incorporating the province, the highest local administrative level in China, followed by the city, county, and township levels). The fragile central–local balance that prevails in China today dates back to a time when local governments needed leeway to circumvent conservative ministries to push for economic growth. For several decades, the system was characterised by the coexistence of vertical and horizontal lines of supervision: county environmental protection bureaus, for example, were controlled both by the city environmental protection bureaus above them and the county government. This dual monitoring gave local governments considerable power over policymaking, if only because they appointed the staff and provided financial support. The central government is now reinforcing vertical management to ensure local compliance on key issues, including environmental protection. In particular, pilot reforms, expected to be rolled out nationwide in 2018–19, have placed local environmental protection agencies under the direct authority of provincial agencies, with their budget and staff managed at the provincial level. But this vertical management won’t be generalised at all levels. Instead, the government wants each administrative level to have different functions and responsibilities. China’s Vice Premier Liu He wrote in March that local agency priorities should be set according to local needs, and would not have to match one-to-one with upper-level agencies. This will give more autonomy to local agencies over local issues while ensuring strict compliance on issues of national importance. China is also revamping local fiscal and financial systems so local governments are better able to fund projects without resorting to bad debt. On the one hand, the newly created Property Tax and Green Tax will increase local fiscal revenues. On the other hand, the 17 March plan proposes a merger of central and local tax agencies, unifying the fiscal system and putting it under more central scrutiny. In April, new regulations also put stricter constraints on local borrowing. These will increase accountability and discourage local governments from taking risky loans. The 21 March plan, complementing the plan released a few days before, aims to redefine the relationship between the Chinese Communist Party and state institutions. For the last four decades, Chinese policymaking and implementation have functioned through those parallel channels, with the party slightly ahead in the chain of command. Since coming to office, Xi has reinforced the primacy of the party in policymaking and mobilised its internal institutions to rein in recalcitrant authorities. During his first term in office, Xi set up a number of party-run “central leading groups” which could bypass some burdensome administration and concentrate policymaking into issue-specific teams. According to the new plan, some of these groups (for reform, cybersecurity, economics, and finance) will now be upgraded to committees or commissions and enjoy a boost in power. The party will also have more direct oversight of films, books, and newspapers, and tighter control over policy towards ethnic and religious groups. The reform of the anti-corruption system, on the other hand, grants far-reaching powers to the National Security Commission, a state institution. By doing this, Xi will broaden the scope of the anti-corruption purge to non-party members, including managers of state-owned enterprises, hospitals, educational and cultural institutions, as well as village governments. These reforms arguably constitute the most ambitious overhaul of Chinese administration in decades, and will be a dominant theme of Xi’s second term. Such sweeping reforms may be difficult to swallow for central and local agencies. There are concerns that sectors with crucial professional expertise will be weakened as they are integrated into broader departments. This is the case, for example, for food safety and drug supervision, which has been taken over by “all-in-one” market supervision departments. Nonetheless, the reorganisation of the Chinese bureaucracy has a good chance of success. 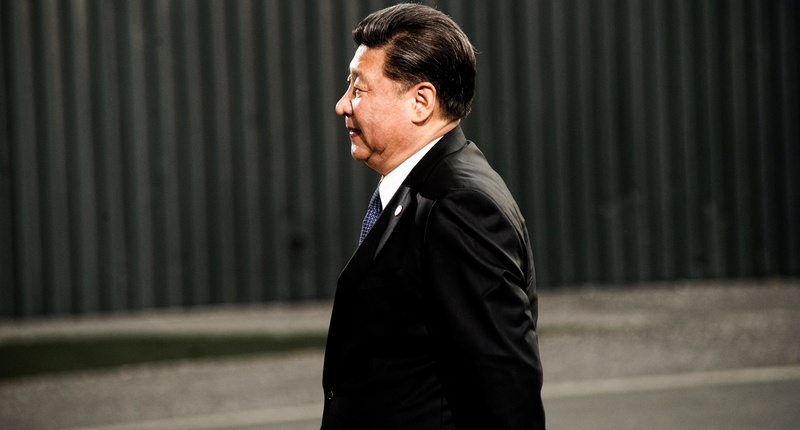 The Chinese president has just been given a broad mandate and far-reaching powers which will help him push his agenda. If this reform succeeds, it could well make administration more efficient and compliant. Photo by Flickr user COP PARIS. The rejection of May’s Brexit deal has Daniel Flitton speaking to Philomena Murray to help make sense of the moment.